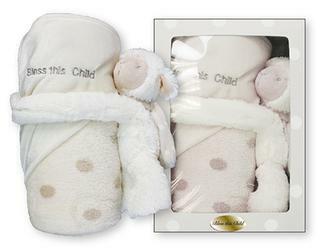 Cream Baby Plush Lamb with Blanket. Baptism Gift a Statue of a Praying Girl. Baptism Statue of a Praying Boy. Blue Baby Praying Porcelain Holy Water Font. Pink Baby Blessing with Medal. Blue Baby Blessing with Medal. Crib Medal For a Girl - You are Always in my Heart. Crib Medal For a Boy - You are Always in my Heart. 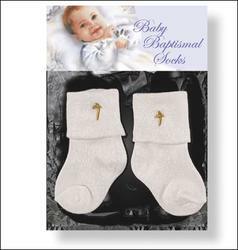 Baptismal Socks for a Baby. White Satin Baptismal Bib for a Baby. Pink Guardian Angel Baby Brooch for a Girl with Verse. Blue Guardian Angel Baby Brooch for a Boy with Verse. 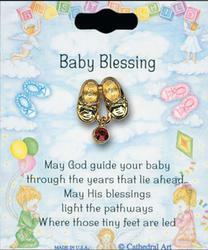 Blue Swarovski Crystal Baby Blessings Boot Brooch. 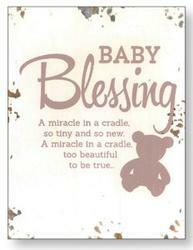 Baby Blessing - Distressed Wood Plaque. Pink Baby Medallion Gift Set for a Girl. Baby Medallion Gift Set for a Boy. 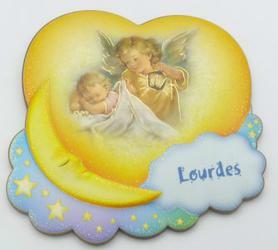 Lourdes Blue Baptism Medallion Plaque with Angel. 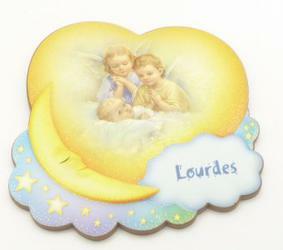 Lourdes Pink Baptism Medallion Plaque with Angel. Lourdes Baptism or Baby Gift with Angel & Lantern. 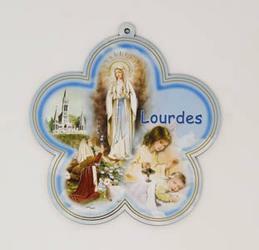 Lourdes Apparition Blue Medallion Plaque. Lourdes Apparition Pink Medallion Plaque. Lourdes Apparition Baptism or Baby Gift. 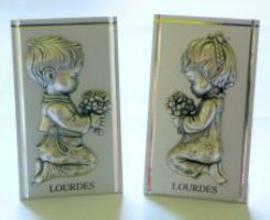 Lourdes Baptism Gift Silver for a Girl or Boy. Lourdes Baptism or Baby Gift with Praying Angels. Boy's - Christening Pillar Candle & Gold Foil Highlights. Girl's - Christening Pillar Candle & Gold Foil Highlights. All Creatures Great & Small Wood Cross. Lourdes Candle with Lourdes Water. Pink Guardian Angel Baby Brooch with Verse.